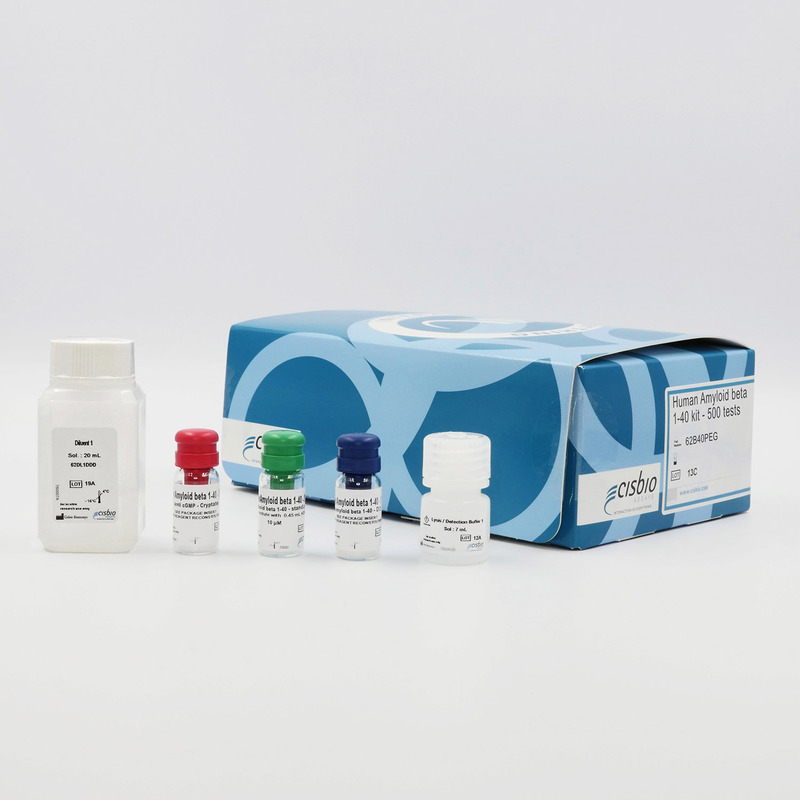 The Amyloid ß1-40 kit is designed for the simple and rapid quantification of the peptide in cell-based formats. Amyloid ß1-40 and ß1-42 peptides are involved in the appearance of Alzheimer's disease symptoms. The production of these two amyloid peptides is regulated by the activity of 2 enzymes, ß and γ secretase, which cleave the amyloid precursor protein. This kit is intended to measure amyloid ß1-40 peptides in cell supernatant or in whole cells. This assay is a fast alternative to ELISA, thanks to the ease-of-use of our Add and Read method. The HTRF Amyloid ß1-40 assay is a sandwich immunoassay using two monoclonal antibodies that recognize different epitopes within the ß1-40 peptide. One antibody is labelled with Eu3+-Cryptate and the other with XL-665. The assay can be used with whole cells or cell supernatant. The antibodies labelled with HTRF donor and acceptor may be pre-mixed and added in a single dispensing step to further speed up the assay procedure. This protocol requires a single 24-hour incubation at 4°C following cell stimulation.